Science Week Ireland is an annual event dating back to 1996 that has grown into a programme of over 800 events scheduled across Ireland that is taking place from 13th to 20th November in 2016. The purpose is to make science more interesting and accessible to children and adults alike. It highlights how science, technology and engineering are hugely relevant to us all in our everyday lives, lead to interesting and exciting career options and develop creativity in our children (source: www.science.ie). While Science Foundation Ireland provides support through coordination of all events on a national level, event organisers (including universities, institutes of technology, libraries, schools, community groups and industry) volunteer to organise an event within the local area. 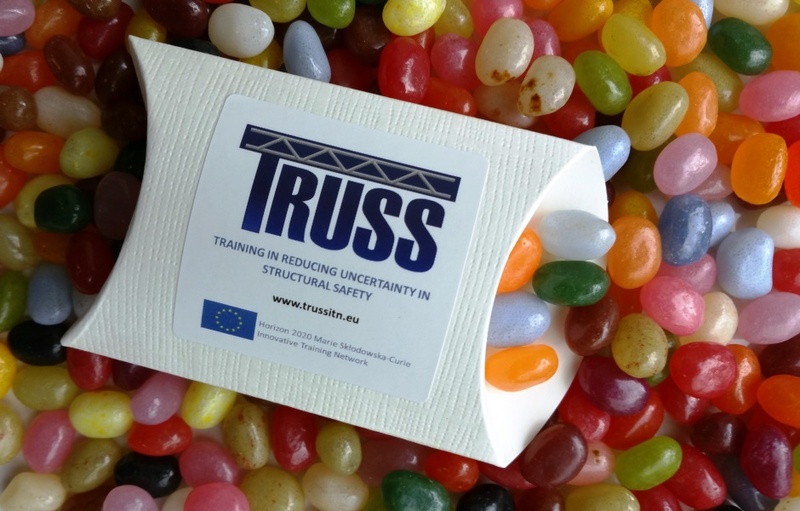 In this year’s Science week, TRUSS organised an activity jointly with the UCD School of Civil Engineering and the Willow Park Junior School in Blackrock (Dublin) on the Tuesday 15th November 2016 from 11 am to 1 pm. 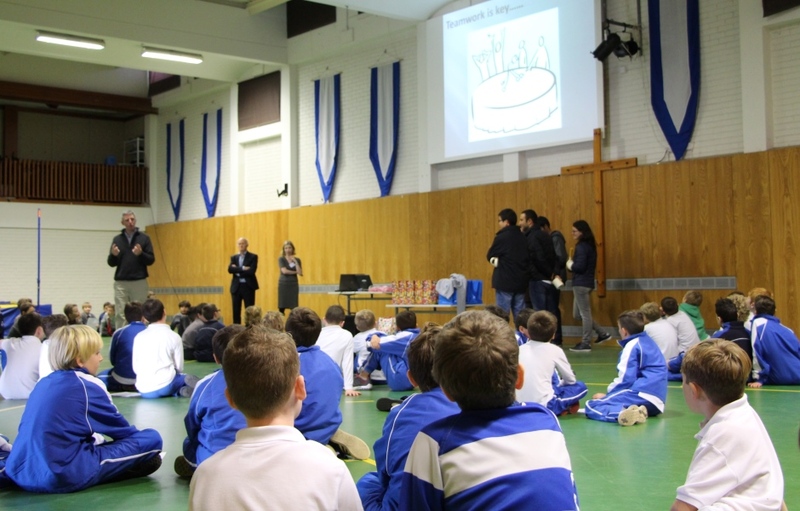 The activity gave about one-hundred 9 years old boys the opportunity to participate in hands on building construction, discovering topics such as stability, equilibrium, forces, materials and many more. The class was divided into teams of four students, who were all provided with the same amount of spaghetti and tape to build the tallest possible free standing structure. 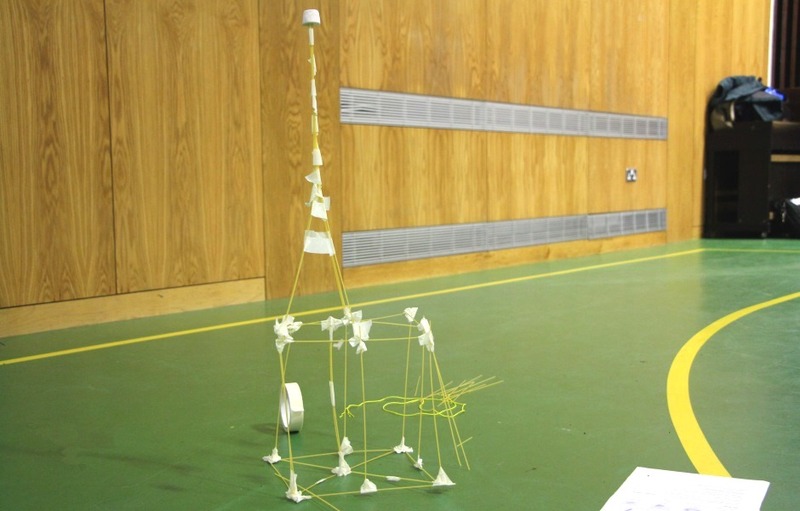 A marshmallow, that had to be placed at the top of the structure, served as reference to measure the height of all structures and to decide the winner. 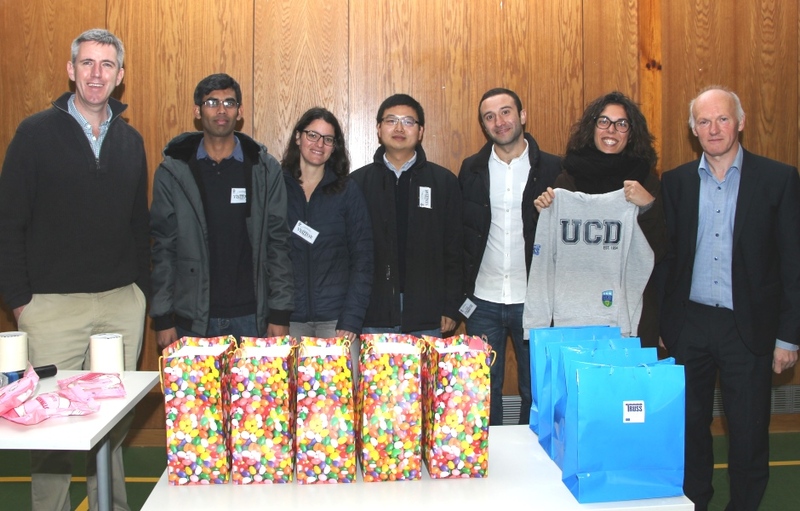 During the challenge, the teams received the support of John O’Sullivan and Patrick Purcell (academic staff from UCD School of Civil Engineering), Aoife Ahern (Head of UCD School of Civil Engineering and leader of WP3 on training in TRUSS), Loreto Manriquez (TRUSS project manager), and our TRUSS Early Stage Researchers: Shah Nur Alam Sourav (ESR2), Guang Zou (ESR5), Giulia Milana (ESR6), Farhad Huseynov (ESR7) and Barbara Heitner (ESR8). 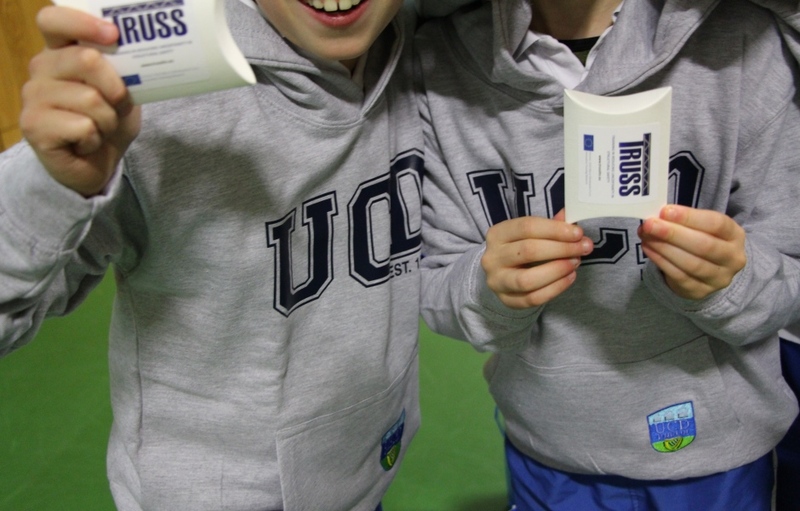 There were TRUSS sweets for all participants and TRUSS-UCD hoodies were awarded to the winning team. Our video below captures some of the action on the day.